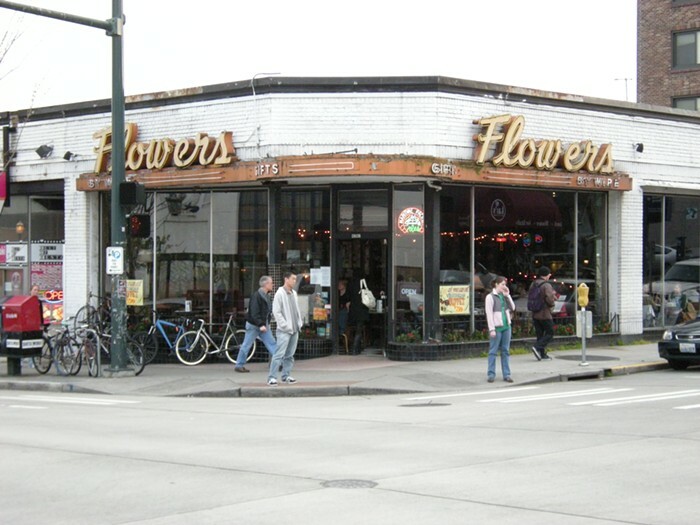 Located on the Ave, Flowers gets a diverse group of customers, but the regulars are UW students who aren't down for frat row. It's comfortable and has a full menu, much of it vegetarian (with a mostly-vegan buffet during the day). Each day brings a different drink special, with Wednesdays being tequila shots (just trying to save you some time). Happy Hour Daily 4-6 pm ($4 wells and drafts, $6 wines).